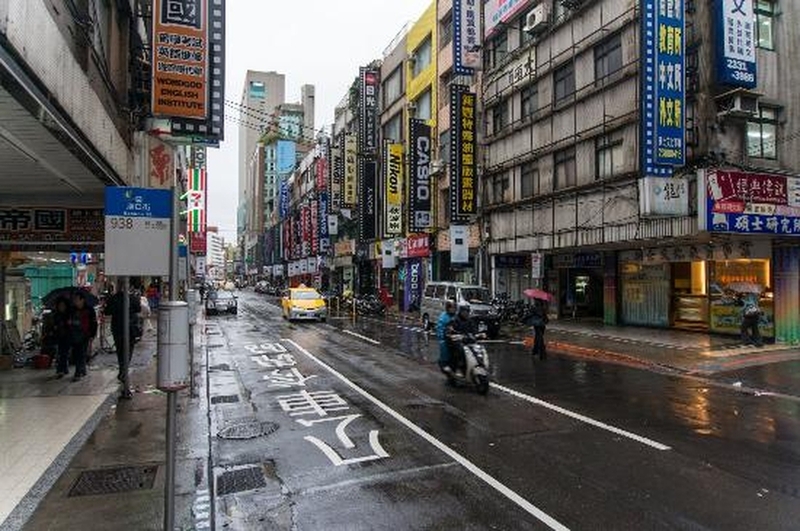 In March 2019, student activists were detained while protesting against the eviction of the Daguan community in Taipei while migrant workers from the Philippines and Indonesia demonstrated against violence and poor work conditions. In January 2019, the Taiwan police dismantled an occupation camp of indigenous rights activists who had been protesting for 699 days. On 6th March 2019, residents of the Daguan Community held a protest in front of the Executive Yuan (executive branch of government) in the capital Taipei, against the ongoing threat of eviction from their homes. They received their latest notice on 4th March 2019 that their homes would be dismantled. Student activists who have been supporting the Daguan community were also present and held a press conference criticising the authorities for failing to address the resident’s needs. An official sent to receive their petition was evasive and unwilling to make any concrete promises regarding their situation. This led to scuffles with the police, which resulted in several demonstrators being arrested and dragged off in police buses. The majority of those arrested were students, who were detained for over twelve hours before being released. Residents of Daguan are former military veterans or individuals who purchased and moved into homes owned by military veterans and have been living there for over 40 to 50 years. Many are elderly, impoverished, and would have no place to go if they are evicted from their homes. On 25th March 2019, the eviction was temporarily called to a halt following negotiations between Daguan community residents and government officials. The CIVICUS Monitor had previously documented two demonstrations in 2018 related to Daguan in which protesters were allegedly beaten up by police. As previously documented, indigenous protesters have been calling for the repeal of a regulation, enacted in 2017, which they say denies their right to ancestral land. The regulation on the delineation of traditional territory and its return to indigenous people is limited to state-owned land and does not include private land, which the group says denies them a sizeable piece of territory. Taiwan’s indigenous people make up about 2 per cent of its 23.5 million people and have long suffered marginalisation. In an unprecedented move, in 2016 newly elected President Tsai Ing-wen apologised to the indigenous people for “centuries of pain and mistreatment” and promised to improve their lives. Migrant workers from the Philippines and Indonesia demonstrated on 25th March 2019 in Taipei's Main Station to protest violence against women and poor work conditions. Speakers at the protest frequently mentioned recent controversial remarks made by Kaohsiung Mayor Han Kuo-yu who referred to Filipino teachers as “Marias,” a derogatory term used to refer to Southeast Asians. Gilda Banugan, chairperson of Migrante International’s Taiwan chapter said: “We are hurt and deeply offended by Han. I hope that this kind of racism will end”. Lennon Wong Ying-dah of NGO Serve the People Association (SPA) said that Han’s comments highlighted a deeper culture of discrimination against Southeast Asians in Taiwan. Groups including Migrante, SPA and Ganas Community, which advocates for Indonesian migrant workers, presented a list of six demands: inclusion for caregivers in Taiwan’s Labor Standards ALSA), mandatory labor insurance, inclusion for domestic workers in Taiwan’s long-term care system, vacation leave, a ban on illegal charges by third-party brokers, and paid overtime if employees are forced to work for some or all of their scheduled days off.